DRIVEN TO EXCEED "YOUR" EXPECTATIONS! A well respected marketer with over 25 years of experience in Marketing, Financial Management, Project & Relationship management and New Product Development in multiple industries ranging from Financial Services to both print & electronic media to consulting and real estate. Naveed spent most of his professional career in a corporate environment with a fortune 100 company. Naveed has a Master’s Degree in Business Administration (MBA) with majors in finance & marketing and is constantly updating his skills with modern and changing technologies to better serve the client’s needs. Our Clients benefit from all the additional assets and manpower that our brokerage provides at no additional cost. "We have assembled our 'Driven Team' to also cater to the growing diversity in our marketplace. We have Realtors at iPro Realty Ltd, Brokerage, that are fluent in Russian, Mandarin, Cantonese, Farsi, Hindi, Urdu, Korean, French and Spanish." To help me serve you better, please complete the form that best serve your needs: Dream Home Finder, Power of Sale Alert, Free Real Estate Reports or Free Home Evaluation! 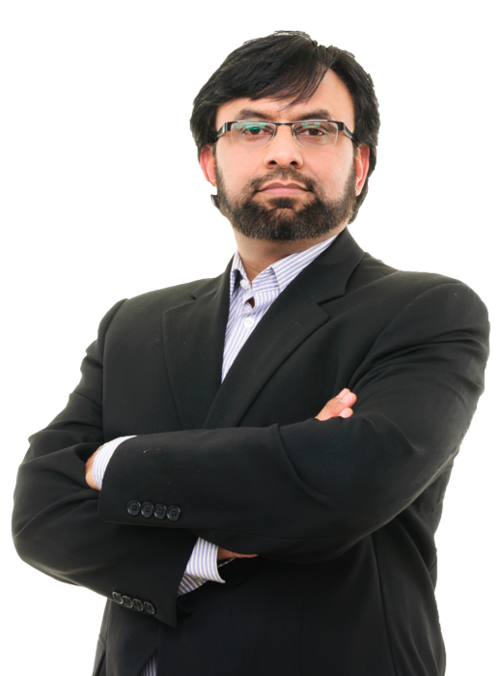 Naveed's award winning achievements are a result of aggressive marketing, skilled negotiation (CNE), and Naveed's hallmark: Exceeding "YOUR" expectation service model. Naveed makes use of every available medium including: Internet and social media technologies, professional virtual tour with drone photography and home staging consultation, domestic and foreign newspaper and magazine advertising, vast personal and team client databases and his cutting edge multi-lingual web site, www.ihomesgta.net to market his client's homes globally 24 hours a day, 7 days a week. "My greatest satisfaction is in knowing that my efforts are delivering a difference in my clients lives -- exceeding their expectations and earning their trust and confidence. It would be my privilege to sell your home. You have my promise to do everything in my power to sell your home at the absolute highest possible price and make your home selling experience a pleasant one. I welcome the opportunity to earn your business and work together."